VOLVO XC60 (2008-2016). EAN Does not apply. VOLVO S80 (2006 - 2013). - VOLVO V70 (2007 - 2013). VOLVO XC60 (2008 - 2016). VOLVO XC-90 REAR RIGHT WHEEL ARCH TRIM. 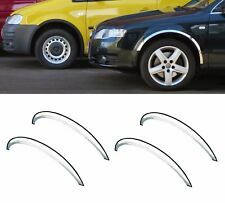 THIS ARCH TRIM IS A USED PART. 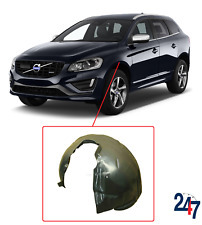 THIS IS A GENUINE VOLVO PART. Headlights & Rear Lights. Rear Bumpers. Front Bumpers. Isle of Wight, Isle Of Man, Channel Islands, Northern Ireland, Isles of Scilly. VOLVO S80 (1998-2006). EAN Does not apply. (for orders sent via TNT, DPD or Palletways). VOLVO XC90 (2003 - 2006). VOLVO S60 (2000-2009). -VOLVO V70 (2000-2007). EAN Does not apply. Reference OE/OEM Number 30655665 30655666. VOLVO S80 (2006-2013). -VOLVO V70 (2007-2013). Reference OE/OEM Number 30796597. VOLVO XC90 (2003-2006). EAN Does not apply. VOLVO S80 (1998 - 2006). TRIM LEVEL. This part was removed from a Right Hand Drive Vehicle. Compatibility is a guide only. Your item will need to be signed for. Wheel Arch/Spat. Part Number. Mk1 AWD 2.5 Petrol 5Spd Estate. VOLVO S80 (2006-2013). -VOLVO V70 (2007-2013). EAN Does not apply. Reference OE/OEM Number 30796596 30796597. VOLVO S60 (2000-2009). -VOLVO V70 (2000-2007). Reference OE/OEM Number 30655665. VOLVO S60 (2000 - 2009). - VOLVO V70 (2000 - 2007). VOLVO S60 (2000-2009). -VOLVO V70 (2000-2007). Reference OE/OEM Number 30655666. VOLVO XC70. ANY LOCATION OUTSIDE THE UK. (for " Fast & Free " orders sent via TNT, DPD or Palletways). This part was removed from a Right Hand Drive Vehicle. Compatibility is a guide only. Your item will need to be signed for. 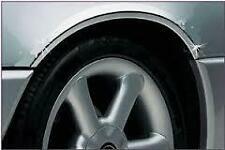 Wheel Arch/Spat. TRIM LEVEL. Other Details. Mk1 AWD 2.5 Petrol 5Spd Estate. VOLVO XC90 I 2.9 T6 AWD AUTO 2004. ANY LOCATION OUTSIDE THE UK. Blow/Popoff Ventile von Tial, Greddy, HKS, Turbonetics und Blitz. Getriebe Differentialsperren von Peloquin und Quaife. Doch damit ist noch lange nicht Schluss, wir können Ihnen auch Zylinderkopfbearbeitungen. VOLVO XC90 I 2.9 T6 AWD AUTO 2004 (RHD). ANY LOCATION OUTSIDE THE UK.